American Oversight filed a lawsuit on Tuesday, October 10, 2017 to force HUD to comply with Freedom of Information Act (FOIA) requests seeking information about Carson’s management of the department and potential conflicts of interest. 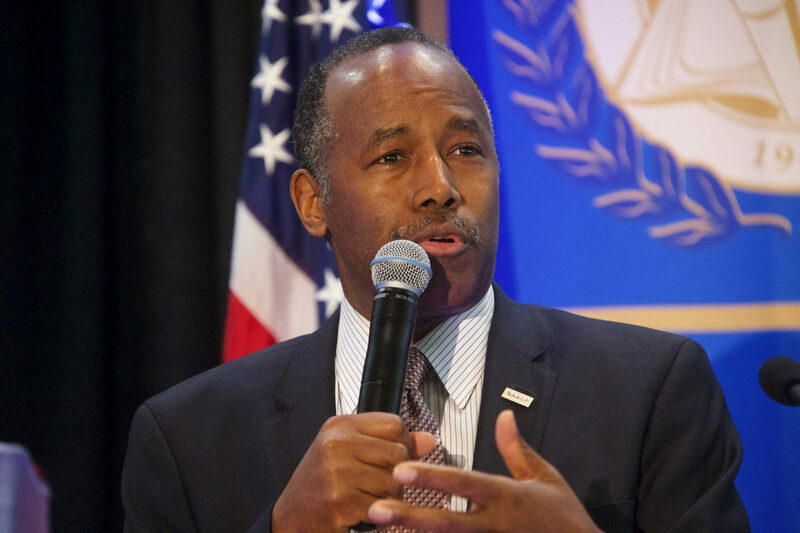 Ben Carson Jr.’s Presence at HUD – Media reports indicate that Secretary Carson’s son Ben has been a regular presence at the department and has been seen meeting with senior officials. We’re asking for visitor logs for his visits to the department as well communications or calendar entries showing meetings between Ben Carson Jr – or his company – and senior HUD officials. Communications with Fred Trump III – President Trump’s nephew Fred is a real estate developer who runs the New York brokerage office for Colliers International. We want to know if he has been in touch with senior HUD officials, including Lynne Patton, a Trump family associate who was appointed to a senior position in HUD’s New York regional office. Secretary Carson’s Decision Memos – We’re requesting all decision memos, directives, or other policies signed or adopted by Secretary Carson. FOIA Processing Policies – FOIA requests should be processed without interference from political appointees. We’re investigating whether senior officials at HUD have changed or attempted to change how the department handles FOIA requests. HUD controls a budget of over $40 billion and its policies directly impact millions of Americans and our communities. While many other cabinet agencies have been in the spotlight for reversing or altering policies from the previous administration, there has been comparatively little media and public attention paid to HUD. If Secretary Carson is using his position to provide special access to his family or to steer departmental resources to other well connected interests, the public has a right to know.